Olansi Healthcare Co., Ltd is a professional manufacturer of hydrogen water machines for producing hydrogen rich and healthy water for humans. In the year of 2017,olansi have develop some new items of Hydrogen-Rich Water Maker Machines / Generators/ Ionziers. What is the Benefits of Olansi Newest Hydrogen-Rich Water Maker Machines / Generators/ Ionziers? At first,let’s have a look what is hydrogen-rich water,so that we can know our machine more clearly. Why active oxygen is harmful to our health? Active oxygen refers to oxygen with a strong oxidizing action (oxidation). An example of oxidation will be rusting of iron. The oxygen interacts with iron and creates a slow burning process, which results in the brittle brown substance we call rust. When oxidation happens in our body, it is bad for health because it causes many types of damages to biomolecules and cellular structures that can result in the development of a variety of disease and it is also the cause of aging. In the case of an apple, the skin of the apple provides a barrier against oxidation and this is why the apple looks fresh when at the supermarket. But, once the skin is damaged, the individual cells come in direct contact with air and the oxygen molecules start burning them. The result is that the exposed apple starts to turn brown in color like rust on metal. Therefore to preserve our health, it is necessary to suppress the active oxygen and reduce the oxidizing actions that are can damage our genes and cells in our body. This can be achieved through hydrogen water. – aids in lowering cholesterol levels. – improves the quality of life of cancer patients on chemotherapy andradiotherapy. 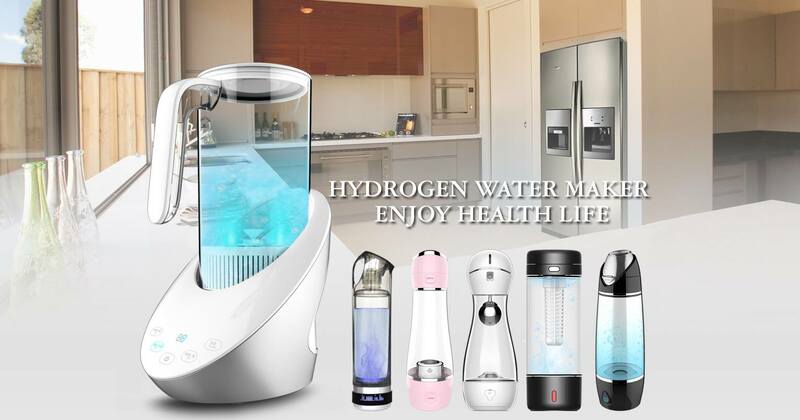 According to above content,you can know that hydrogen-rich water is very healthy for your body,and we olansi hydrogen water maker is just the suitable machine to produce the hydrogen rich water. Established in 2009, located in Guangzhou City in South China, Olansi Healthcare Co., Ltd is a professional air purifier OEM manufacturer. The products of the company contain hydrogen water maker,hydrogen water machine,air purifier, home air purifier, HEPA air purifier, ionizer air purifier, car air purifier, room air purifier and so on. All OEM air purifiers are manufactured in accordance with the CE, ROSH, and CB Certification.